We are all guilty of using a little too much hot water in our daily routines. While doing this, water heaters can be taken for granted. Regulations for energy conservation are continuously improving and changing appliances in the United States as we work towards cutting carbon emissions in order to reduce our impact on the climate of our planet. The next time you’re spending an extra couple of minutes in the shower, or leaving the hot water on while doing the dishes, try to think about not only your water consumption, but your energy consumption due to how your water is being heated. Expect to see changes in all water heating systems, including solar thermal, water heated with renewable energy, due to recent new federal regulations. Despite lower water heating costs and less carbon dioxide emissions, how do these new regulations affect the individual consumer? Did you know that water heating is the second largest expense in your home? These changes to manufacturing regulations are impacting how water heaters are designed, manufactured, and installed. 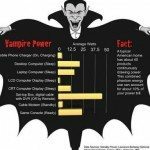 Not only does this affect manufacturers, but it also affects wholesalers, installers and customers. So when thinking about your own water heating system, do you think about where the hot water is being stored? What kind of tank is holding your hot water? What is heating your water? 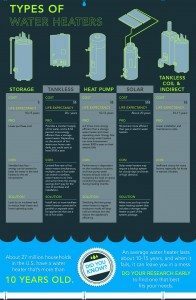 Natural gas, liquid propane, electric or solar thermal? Once you understand how your water is being stored and heated, there are three ways to understand the Energy Factor of your water heaters. The Energy Factor is the tool that measures the energy efficiency of water heating systems. 1. How is the water heated? 2. How much heat is being lost while it is stored? 3. How much heat is being lost when the hot water is transferred to an outlet i.e. shower head or faucet? The new NAECA water regulations require a higher level of Energy Efficiency. In order to reduce home appliance energy use, conserve more natural resources and generate significant energy cost savings. This rating system is kind of like Energy Star for your other appliances! The typical home has a water heater that holds 55 gallons of water or less. As of April 2015, larger units will require new technologies to meet a higher level of Energy Efficiency, including solar thermal. 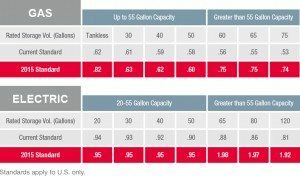 The new standard which will require a heat pump in larger water heating tanks over 55 gallons, could potentially increase water heater tank costs by 300%. This is a substantial increase in the initial cost of water heating systems. Although this will be a larger initial investment, it will create long-term savings through much higher energy efficiency. This increase in price makes the cost of conventional systems more comparable to solar thermal systems. 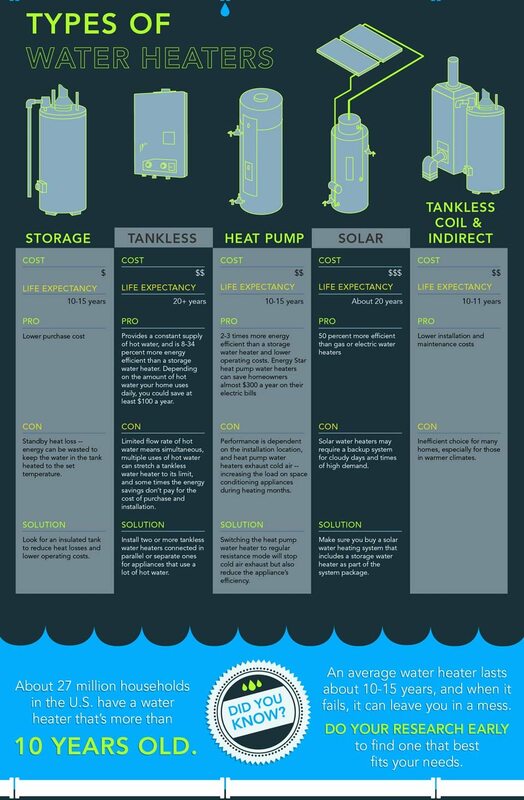 Solar thermal water heating manufacturers are renovating their systems to fit these new Energy Requirements. 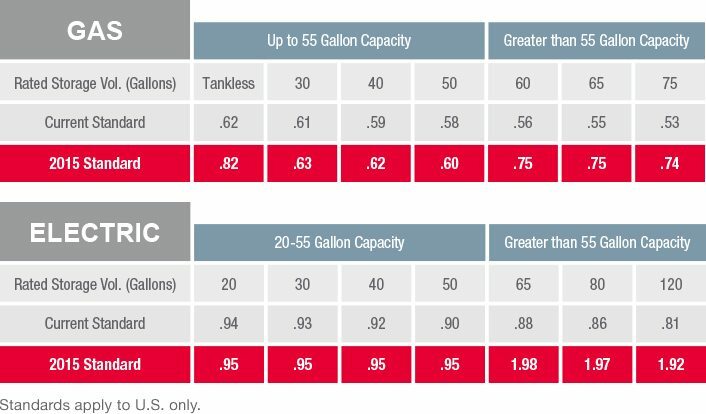 Sunvelope Solar will now be using 50-gallon tanks. According to Auguste Lemaire, president of Sunvelope Solar, these solar thermal systems will actually be more cost effective up front as well as long-term; getting even more for less! Larger systems, over 55 gallons are more efficient when coupled with a heat pump, creating a more energy efficient back-up. Auguste believes that the smaller tanks will provide faster recovery and store more energy in the tank by making it hotter. In other words the energy storage amount isn’t totally dependent on the volume of water. While it is true that you can store more hot water in a larger tank, a smaller tank can hold almost as much energy if it is heated to a higher temperature than the larger tank. Lemaire says that they are dealing with the issue by heating the smaller 50 gallon tank faster and hotter. The result is, not quite as much total available heat but still more than adequate. In our Reno Haven™ model home, we chose to install a renewable energy solar system, Sunvelope Solar, for our hot water needs. The panels can be seen as an integrated part of the home in this photo. In all Haven™ homes, the water storage tank for conventional or solar thermal hot water, is located very close to the center of the home, between the upper and lower floors, in what we call our center C.O.R.E. This allows more direct access to hot water. The hot water has a much shorter route to travel from the storage tank to every sink and tub/shower in the home. Getting the hot water to the spigot faster, not only saving energy, but also saving water by shortening the time the tap is running before hot water reaches it. 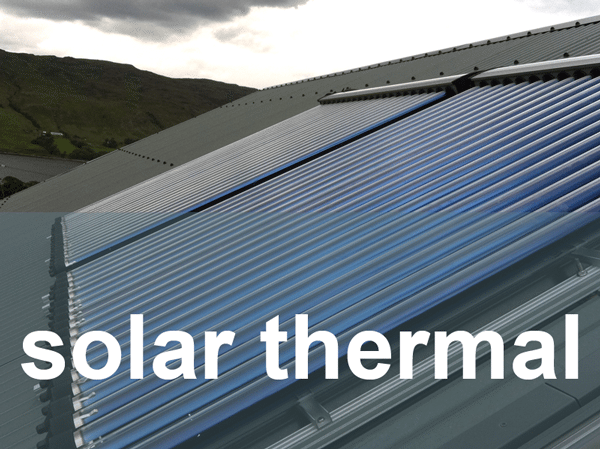 With increasing costs for water heating systems, the initial cost gap is tightening and cost savings increasing, between installing solar thermal heating systems and conventional electrical or gas powered systems, creating a cost-effective opportunity for homeowners to install solar thermal panels. Energy conservation is changing every day making it easier than ever to create a sustainable lifestyle for yourself. In Nevada, NVEnergy is still offering very lucrative solar thermal rebates that are not tax rebates. The Federal Government is still offering a 30% tax credit on all solar thermal systems installed. Auguste Lemar from Sunvelope will provide more information on both those financial incentives if you contact him directly. 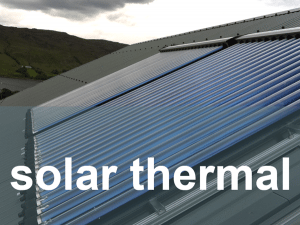 Please share this article with anyone you know who has been talking about solar thermal hot water. We would very much like to hear from you if you have experience or questions about this topic!